These appliances are very stiff and durable. Commonly used for heavy night grinding these nightguards will stand up to the hardest wear and tear ensuring the patient’s teeth are not damaged. Made of a mix of both hard and soft plastics, these nightguards are less durable and meant for moderate grinding. 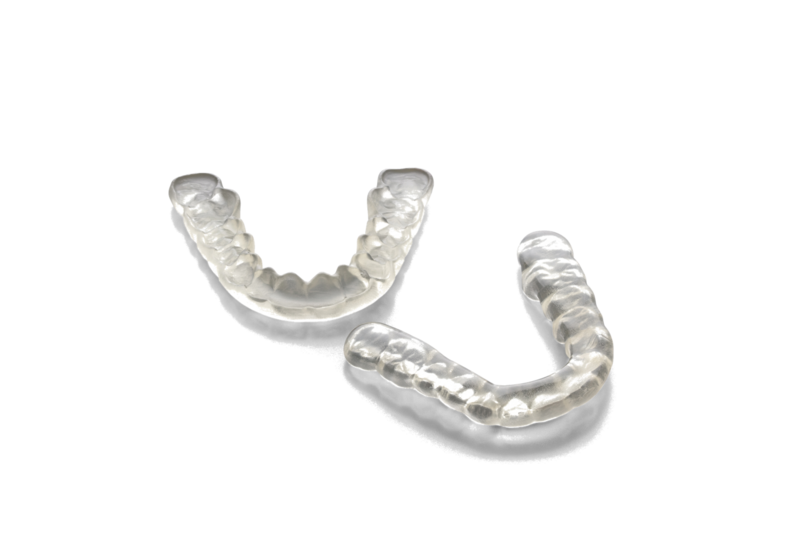 These nightguards tend to sit more easily in the mouth due to the soft plastic used. \ These are made of a thermal plastic allowing the patient to soak them in warm water before use. Soaking in warm water softens the plastic so when the \ appliance is inserted in the mouth is seats more comfortably and adheres properly for longer. \ These nightguards are similar to Hard nightguards though the use if 3D printing technology allows us to make them thinner and more comfortable in the \ patient’s mouth.